Hello! 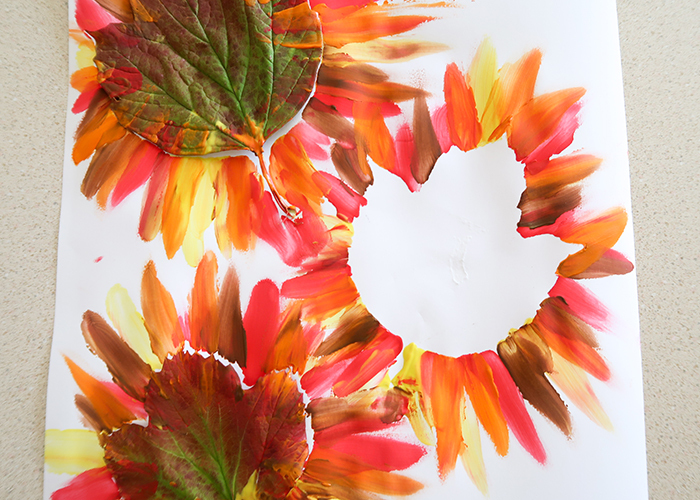 Let’s learn how to make this Autumn Reverse Leaf Painting today! 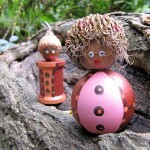 This is a great way to use leaves you gather on a nature walk, or ones you just find in your backyard. 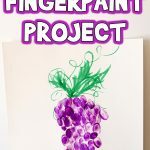 This is a great fall project for little kids, as it’s a finger painting project too! You can use a brush if your wish, or even sponges. Here’s what you’ll need. 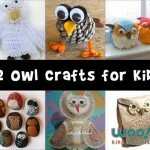 Check out our collection of leaf crafts for kids, too! 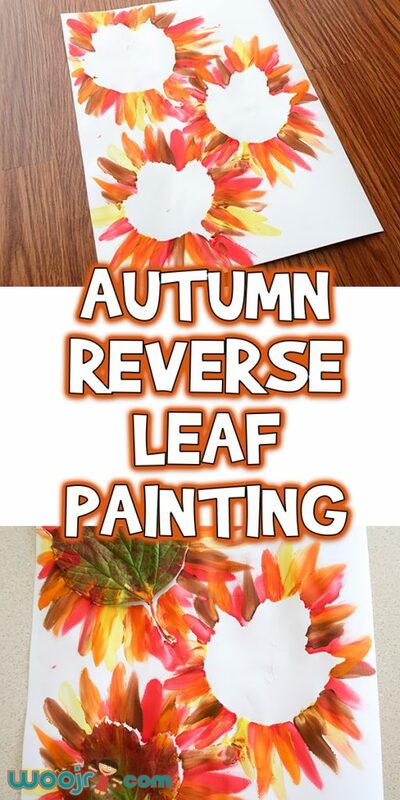 Start by taking a piece of tape or two for each leaf. Put the tape on a shirt or back of your hand, and pull if off a couple times. This will dull the stickiness of the tape so it won’t rip the paper. Roll up the tape and put it one the back of your leaves. In hindsight I would have used sticky tack as the tape still ripped at the paper a little. 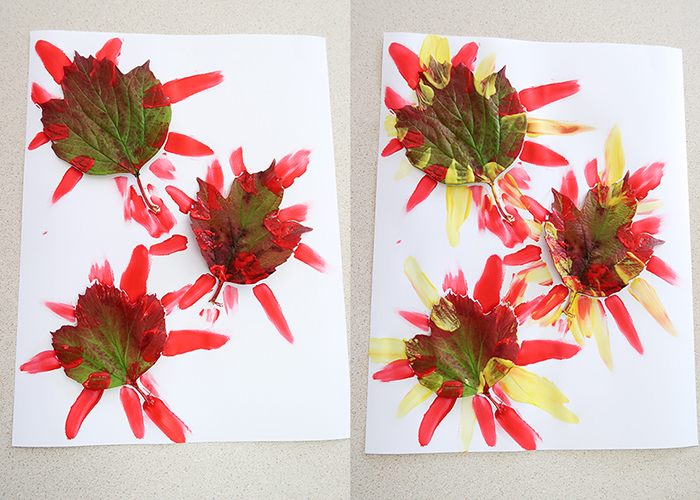 And place the leaves down on your paper. The tape is just to keep them from moving around a whole lot. 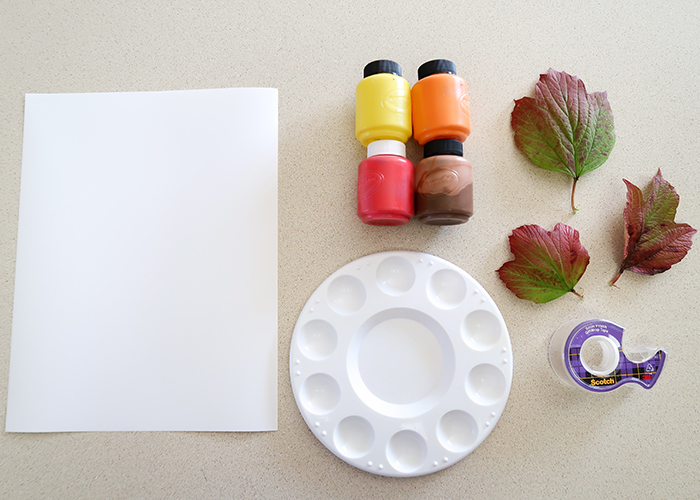 Once all your leaves are where you want them, place small amounts of your paint colors in the palette. I went with traditional autumn colors, but you can use any colors you like. Work with one color at a time. Dip your finger in the paint. 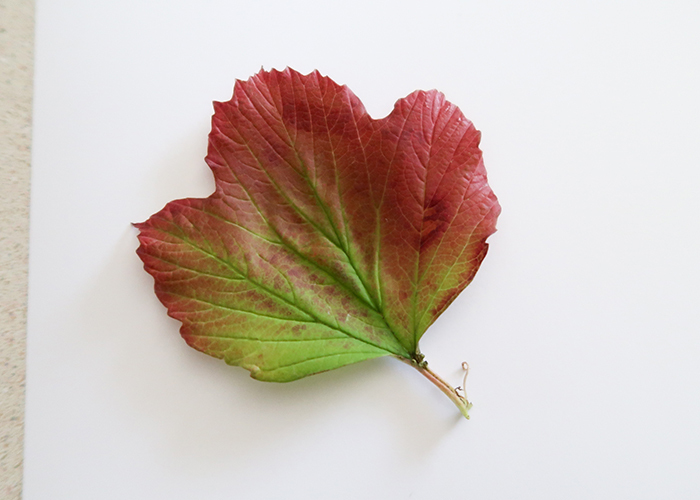 Set your finger on the leaf, and slowly pull it off the leaf going straight outwards. 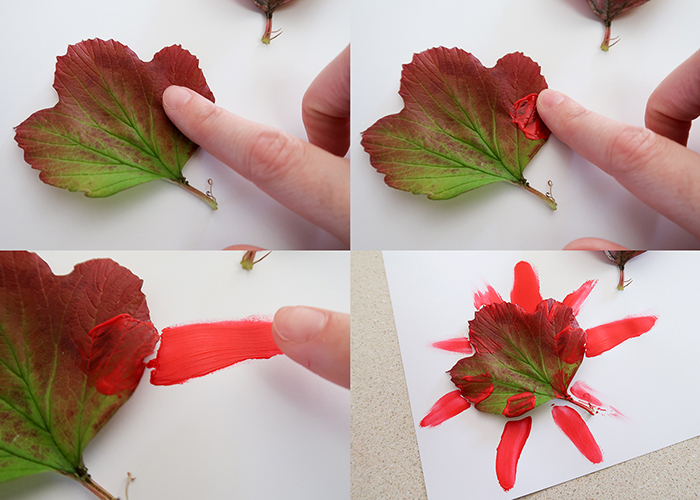 Do this a few times around each leaf. I know, it looks like a hot mess. I promise you this turns out super cute! 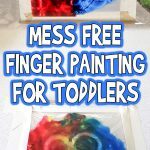 Give it about 5-10 minutes to start to dry a little, and then add your next color. 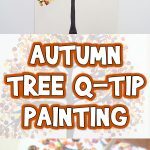 Keep adding your colors until the outline of your leaves is full of color with no gaps. The colors will start to blend together a bit and create a really pretty sunburst effect. 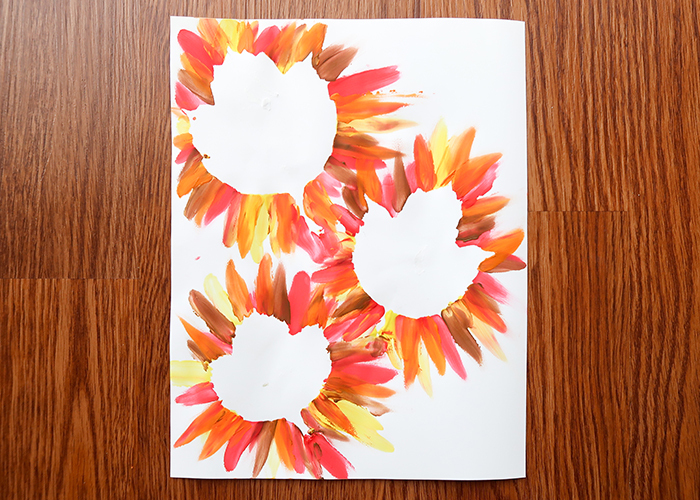 Make sure to have paint around the stems as well! 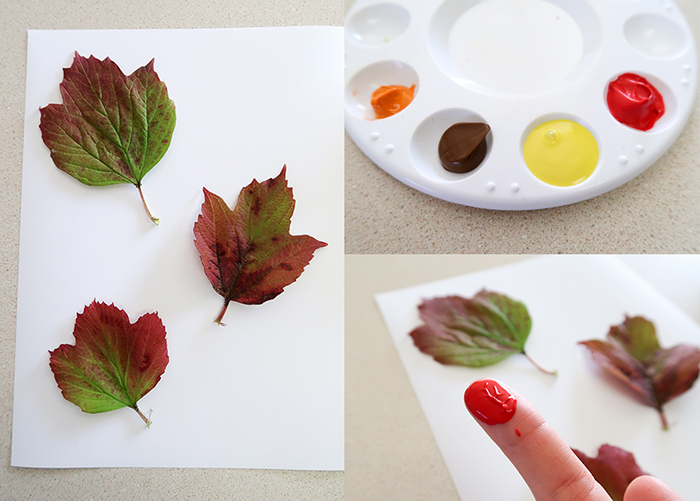 Let the paint dry completely, and then carefully remove the leaves. 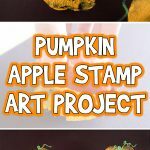 I noticed that even the less sticky tape still ripped the paper, so you may want to use sticky tack or washi tape if you plan on displaying this artwork. You’re all done! 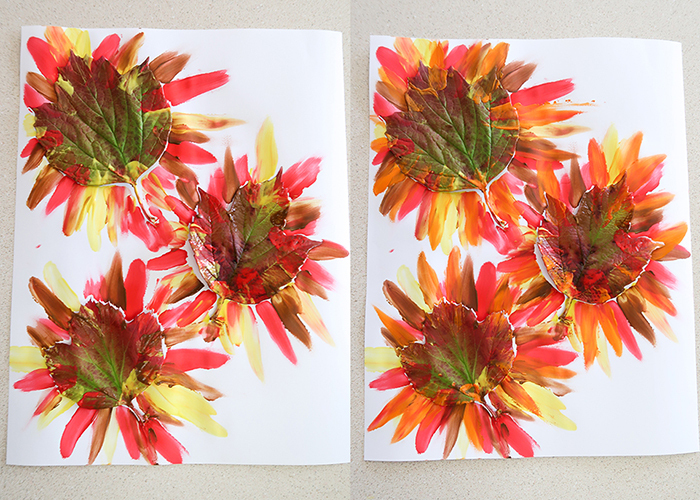 I hope you have a ton of fun making this Autumn Reverse Leaf Painting with your little ones!